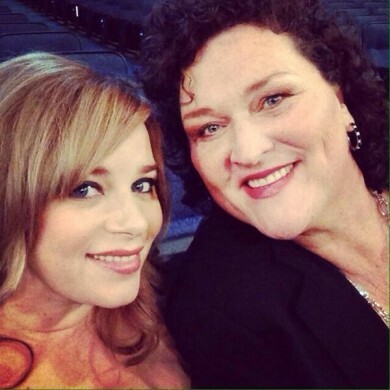 Dot Marie Jones, who plays Coach Shannon Beiste on “Glee,” proposed to her longtime girlfriend Bridgett Casteen on Friday while attending the theme park’s Anaheim Gay Days. In true princess fashion, Jones popped the question near the theme park’s Sleeping Beauty castle. Jones told The Advocate on Friday, “It’s the happiest day of my life. I never thought I’d find somebody that is so loving and kind.” Casteen and Jones couldn’t help but share their thrilling news with fans. Posted October 8th, 2013 & filed under Entertainment.